Dr. Koniuto is the owner of Oakdale Physical Therapy & Fitness. 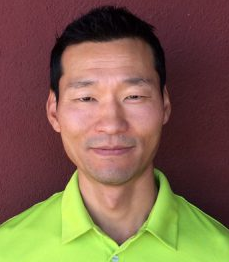 His professional credentials include Licensure in Physical Therapy (NY), Certified Strength Training Specialist, Certified EMT (NY) and Certified in RockTape’s Functional Movement Techniques (FMT) series: Basic, Performance, Movability, RockBlades, and Special Populations. Dr. Koniuto’s professional career spans over two decades and includes clinical, management, consulting, education, performance and athletic conditioning, as well as ownership roles. His primary clinical interests lie in a deeper understanding of human movement combined with manual hands-on care and innovative therapeutic solutions to improve the lives of his clients. He also employs various systems of functional movement assessment tools while incorporating strategies that positively impact the aging process. Dr. Koniuto presents courses nationally to clinical and fitness professionals through both Medical Minds and RockTape. Dr. Koniuto grew up in Binghamton before earning his BS and Master’s of Physical Therapy at Springfield College in Massachusetts in 1995, followed by a Doctorate degree from Upstate Medical University in Syracuse, NY in 2012. Dr. Koniuto values the professional relationships he has with his clients and the positive impacts he has on their quality of life. When he is not working, John enjoys spending time with his wife and two daughters, and staying fit by performing all sorts of functional training, golfing, hiking, and rock/ice climbing.